From both American bourbon casks and Spanish Oloroso casks, this 14 year old whisky from the Auchentoshan distillery is a flavourful mix of delicate nuttiness and citrus, balanced with subtle crème Brûlée. This 14 year old single malt is, of course, non-chill-filtered and at 46%, to capture all the intricate flavours. 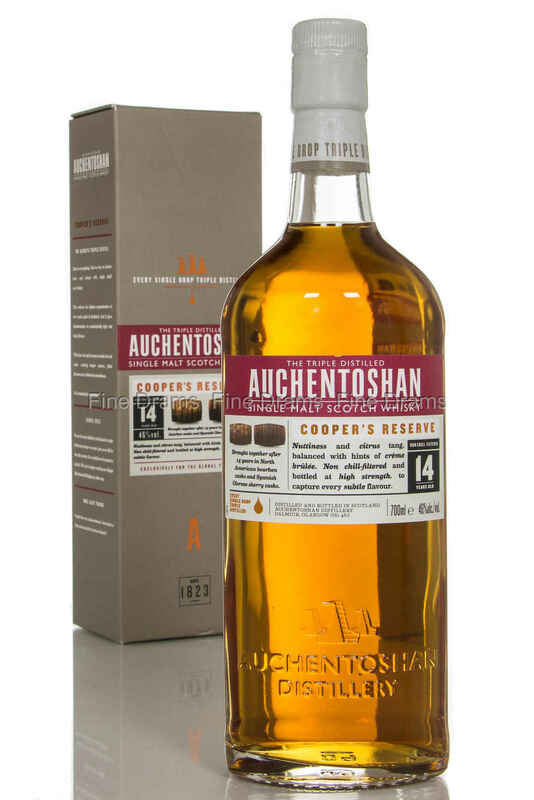 The Auchentoshan Cooper’s Reserve is a travel retail exclusive.